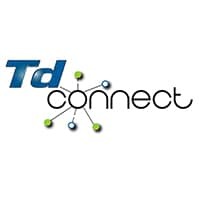 Registration has opened for local treasurers who are interested in attending workshops where they will learn how to use the new TD Connect system to manage member records and to work the new eBill before the system’s Jan. 1, 2019, rollout. Follow the links below to register. November 5, 6 & 7, 2018 – Kansas City, Mo. SESSION FULL – REGISTRATION CLOSED, SEE BELOW FOR WAITLIST INFO; hotel registration deadline is Oct. 12. SESSION FULL – REGISTRATION CLOSED, SEE BELOW FOR WAITLIST INFO; hotel reservation deadline is Oct. 12. SESSION FULL – REGISTRATION CLOSED, SEE BELOW FOR WAITLIST INFO. November 27, 28 & 29, 2018 – Rosemead, Calif.
Workshops will run 9 a.m. – 5 p.m. all three days and will prepare local treasurers for the launch of the new TD Connect and eBill system along with the newest version of WinStabs. Additional topics may include: maintaining payroll deductions, making proper disbursements, budgeting, record keeping, paying taxes and filing reports with authorities. Attendance for each workshop is limited and spaces will be filled on a first-come basis. A waitlist is available for those interested in attending a workshop that has been filled. Contact Alyssa Patchin at the TD offices to be placed on the list. The sessions will include all training and materials at no cost to the local. However, the local is responsible for all other costs associated with the treasurer’s attendance at the workshop. Lost time or salary, travel, hotel and meal expenses connected with attendance may be reimbursed if pre-approved by the membership at the local meeting as an allowable expense of the local. Click here for a flier with specific workshop details, including location and hotel information. For more information or to be placed on a workshop waitlist, call Alyssa Patchin at the TD offices or email apatchin@smart-union.org.